The big names from around the world generally get the most attention at the Vancouver Writers Festival, but that doesn’t guarantee they have written the best books. One of the B.C. authors who will be competing for a slice of the publicity pie this year is June Hutton with her sophomore novel about a character who will likely soon be the subject of a Hollywood film. 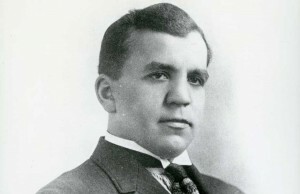 Morris Cohen as an Edmonton realtor. 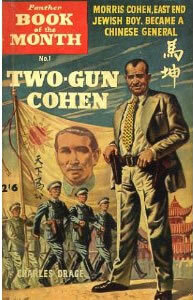 Set mainly in Western Canada during the 1920s, June Hutton’s second novel, Two Gun & Sun (Caitlin $22.95), is described as an otherwordly historical novel inspired by the life of Morris ‘Two-Gun’ Cohen, a Jew from England who found his way to Saskatchewan and eventually served as an officer in Sun Yat-Sen’s revolutionary army in China. The timing is fortuituous in that the director of The Bourne Identity, Doug Liman, has just signed onto a Hollywood movie project based on the life of Morris Abraham “Two Gun” Cohen to be produced by Rob Reiner and Alan Greisman. Cohen ostensibly taught Sun Yat-Sen’s army boxing and shooting even though he couldn’t speak Mandarin or Cantonese. He then became one of Sun’s bodyguards and fought against Japanese invaders in the 1930s. Hutton’s novel is mostly a ‘prequel’ to those world-renowned exploits–a send-up of his much less famous Canadian adventures. 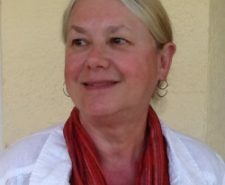 Hutton views her novel as a ‘steampunk’-influenced attempt to portray the demise of the Old West and the dawning of the Roaring Twenties. “There are outhouses on the ground while airships sail above,” she says. “These aircraft are a common appearance in steampunk fiction, but in this novel the craft no sooner arrives than it crashes and burns, signifying the precariousness of the future. June Hutton of Vancouver has been a member of the triumvirate calling themselves SPiN, formed in 2002. After Jen Sookfong Lee published her debut novel The End of East (Knopf 2007), and Mary Novik published her debut novel, Conceit (Doubleday 2007), June Hutton made her first fiction splash with a war novel, Underground (Cormorant 2009), which follows Vancouverite Albert Fraser from the Somme trenches of WW I, through the Depression and into the Spanish Civil War. The hero is inspired to defend freedom in Spain by Picasso’s painting Guernica. The novel was released on March 31 to mark the anniversary of the fall of Madrid. Lauded as “taut and lean, elegant and poetic” by the Globe and Mail, it was nominated for the Ontario Library Association’s 2010 Evergreen Award, named a Vancouver Sun Must-Read BC Book, Fall 2009, as well as a CBC Cross-country Check-up and BC Almanac summer read pick. Raised on the West Coast, June Hutton spent family vacations inland, in the Similkameen, Okanagan and Fraser Canyon regions, giving rise to her interest in so-called ‘western’ novels. She later moved to the Yukon to write for The Whitehorse Star. 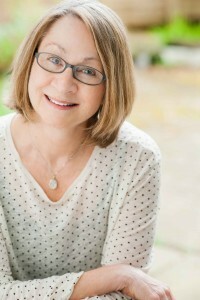 She is currently an instructor for SFU’s Writer’s Studio Online and UBC’s Writing Centre.